With the cruise tourism industry on the rebound, Premier and Minister of Finance, Hon. Andrew Fahie is seeking to speed up the progress being made by fostering beneficial relationships with other stakeholders in the global tourism industry. With this view, Hon. Fahie, who has oversight of the Tourism industry, is currently attending the Seatrade Cruise Global 2019 Conference in Miami, along with Minister for Transportation, Works and Utilities, Hon. Kye Rymer and Junior Minister for Tourism, Hon. Shereen Flax-Charles. Hon. Fahie is noted as saying that the cruise industry continues to grow and the Territory needs to maintain its relevance for it to benefit from the rising opportunities. “Tourism has always contributed significantly to the lifeblood of our economy here in the Virgin Islands. The Government and the people are heavily invested in tourism, significantly so in cruise tourism. Our livelihoods depend on my Government’s continued ability to engage and partner with these industries,” he stated. It is the Premier’s goal to diversify the tourism industry to increase the earnings from the sector. With tourism being one of the main economic pillars of the BVI, there has been a great push for it to recover from the damages of the 2017 disasters. The Premier has previously reported that cruise tourism rebounded strongly in the last months of 2018 with over 75 percent of 2018 cruise tourists arriving in the last quarter. 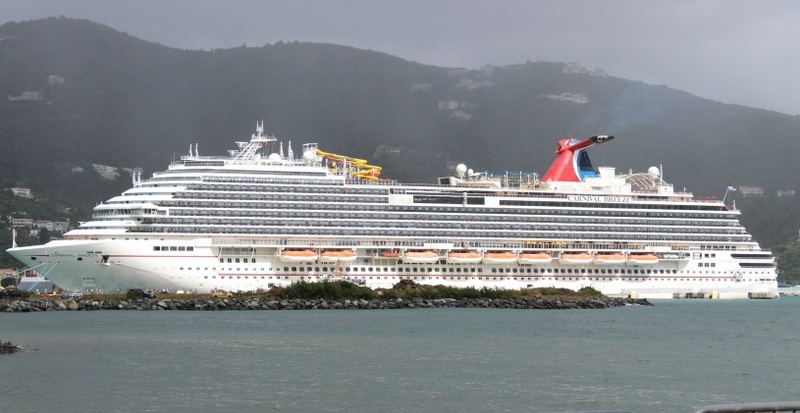 “Cruise arrivals in December 2018 reached over 80 percent of cruise arrivals in December 2016. Likewise, overnight arrivals have continued a steady path to full recovery following the storms,” he has gone on record as saying. “Overnight arrivals for December 2018 reached over 70 percent of overnight arrivals in December 2016...We are well on our way to full recovery of the tourism sector. We however, need to deepen and expand our tourism product offerings,” the Premier iterated recently during a public address.